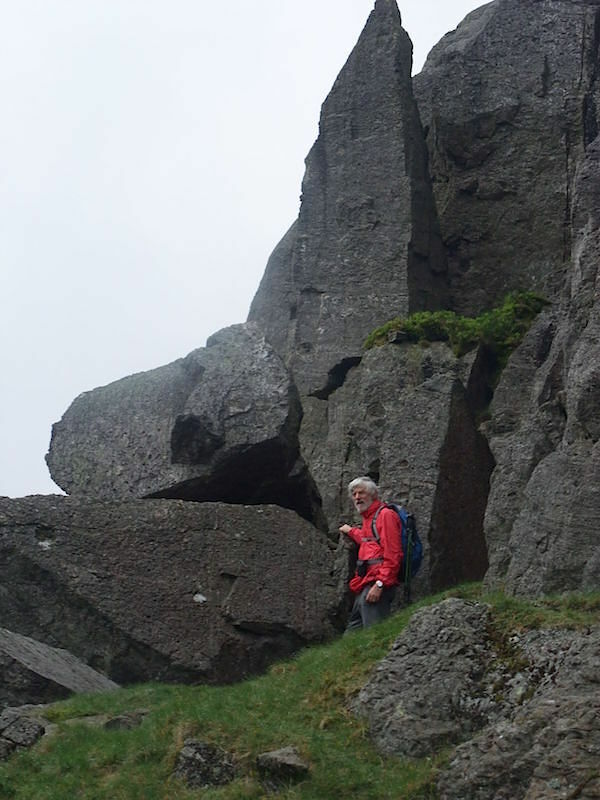 We parked near the Three Shires Stone on Wrynose Pass and waited a while to see if the very low cloud would lift. 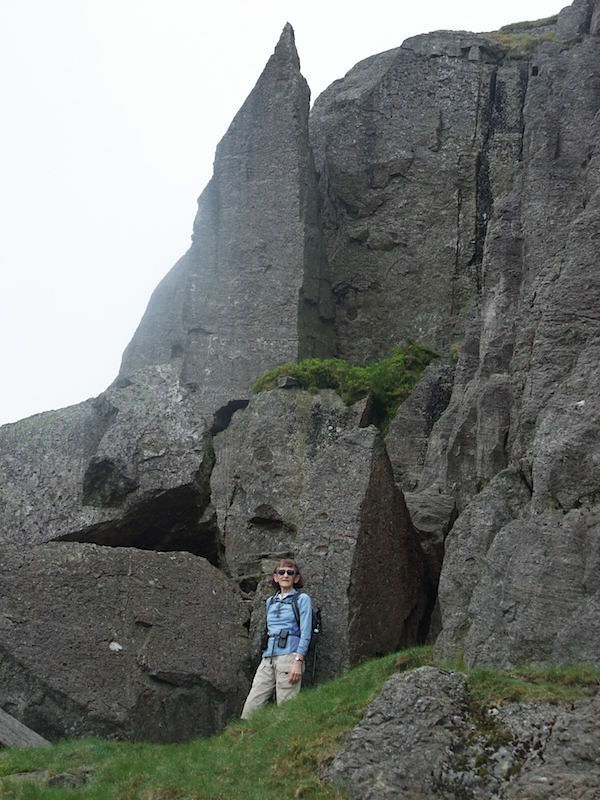 It did eventually so here we are on Pike o’ Blisco walking up to Black Crag. It all looks very grey still but at least now we can see where we are going. 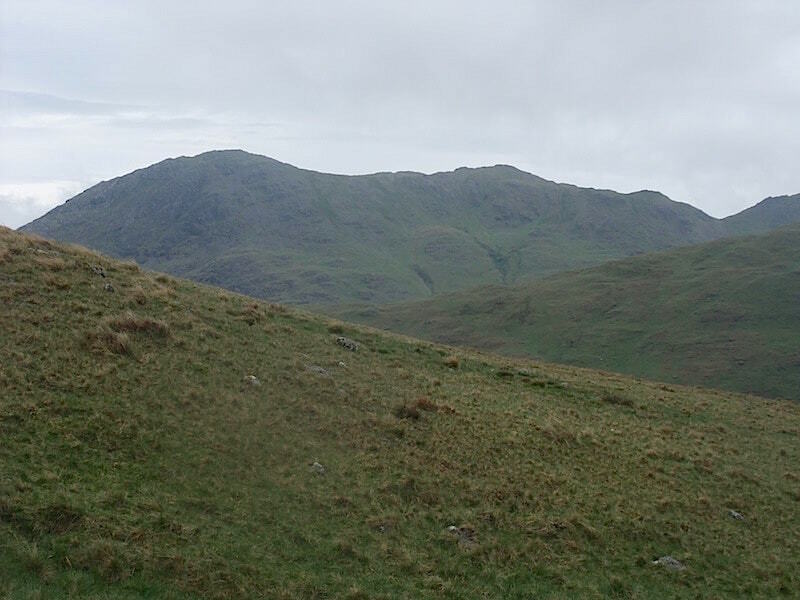 Looking across Wrynose Pass to Wetherlam on the left. 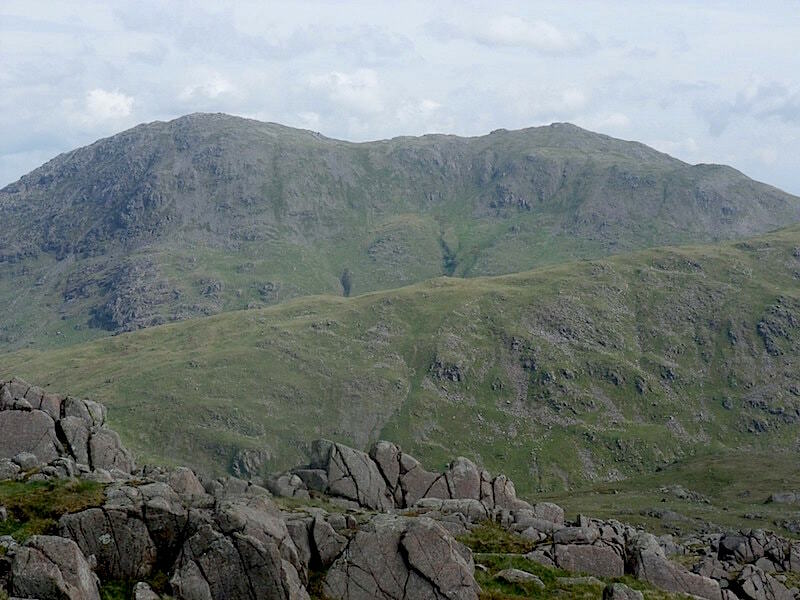 Wetherlam summit on the left with Black Sails to its right, and Swirl Hause on the extreme right. 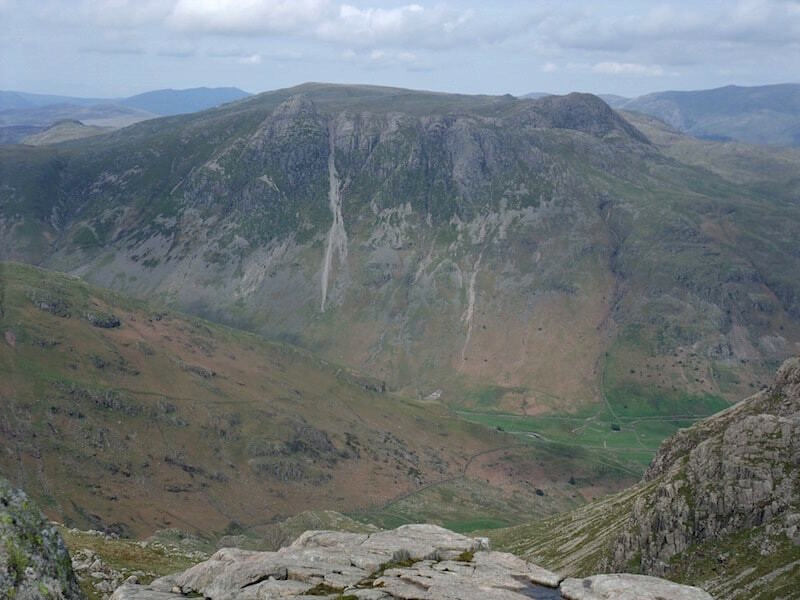 Black Crag on Pike o’ Blisco. 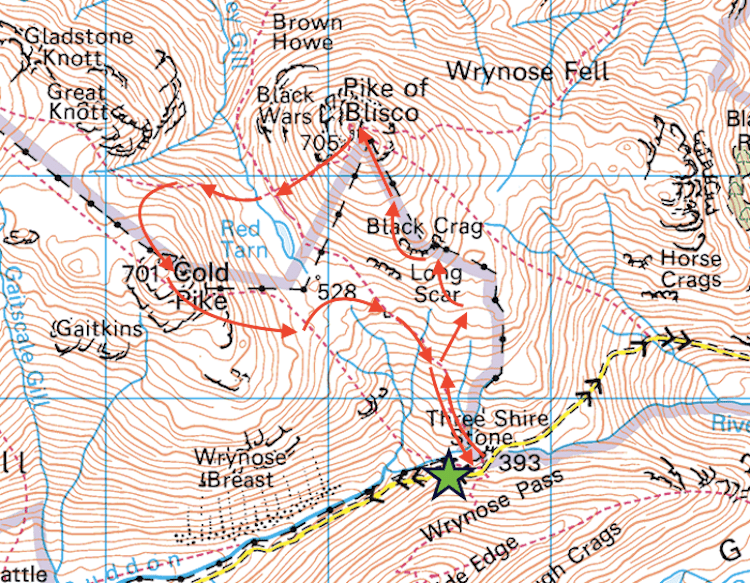 We came this way to try and locate AW’s ‘smooth and slender pinnacle’ – The Needle. 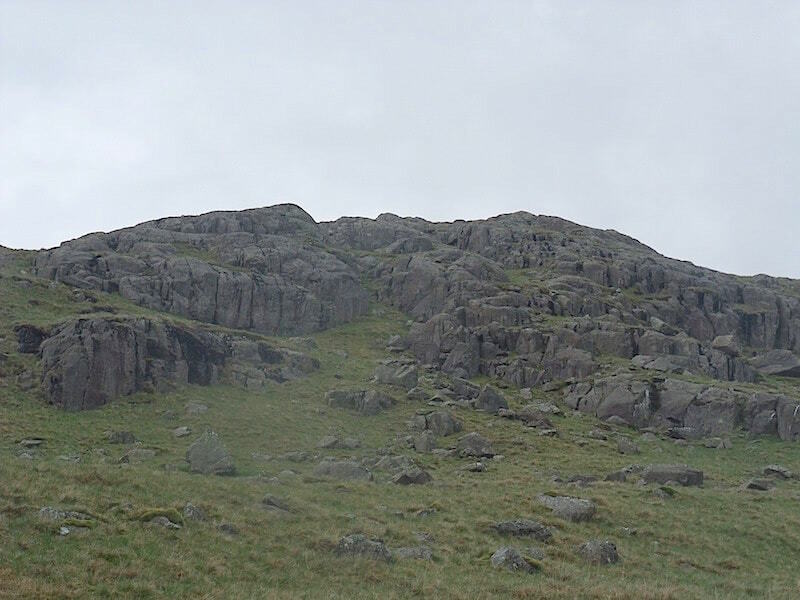 We know its on Black Crag but where, in this jumble of rocks? It can be seen in the photo so you might want to try and pick it out. 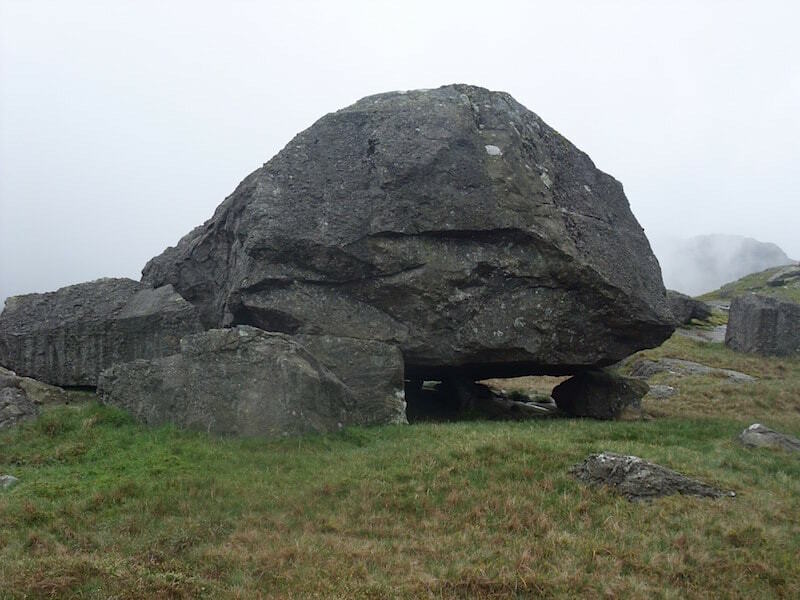 One of the many huge boulders in the Black Crag area. It reminded me of a large and malignant toad. 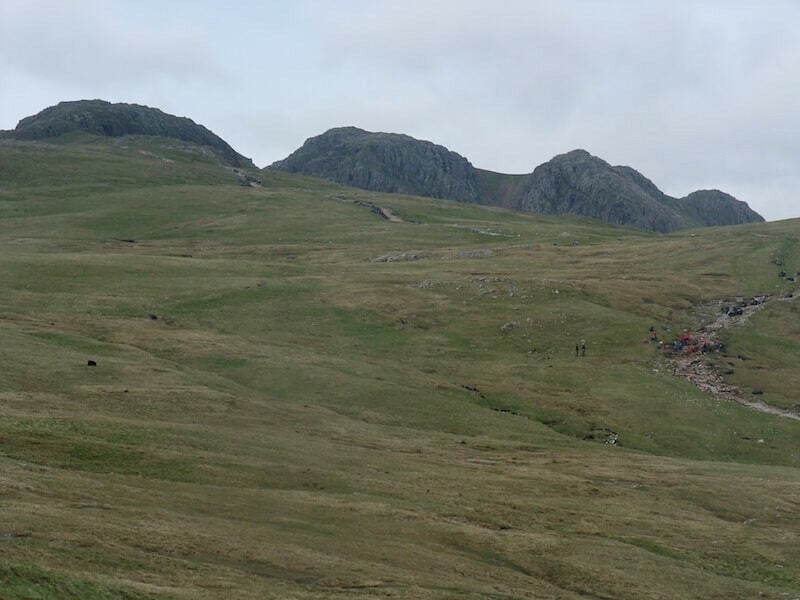 Aha, I spy with my little eye …..
….. 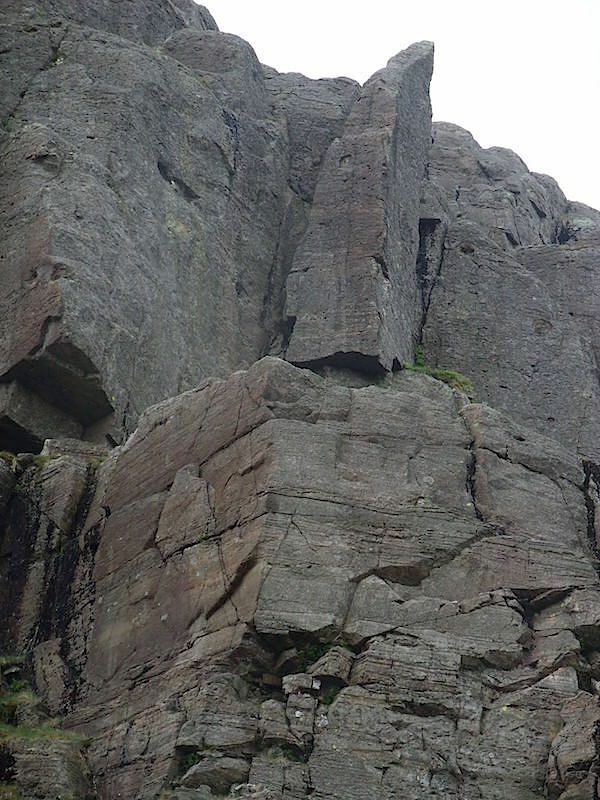 The Needle on Black Crag. Adding some scale to show the height of The Needle, and yes, people do climb it, as a quick web search for the photos will reveal. 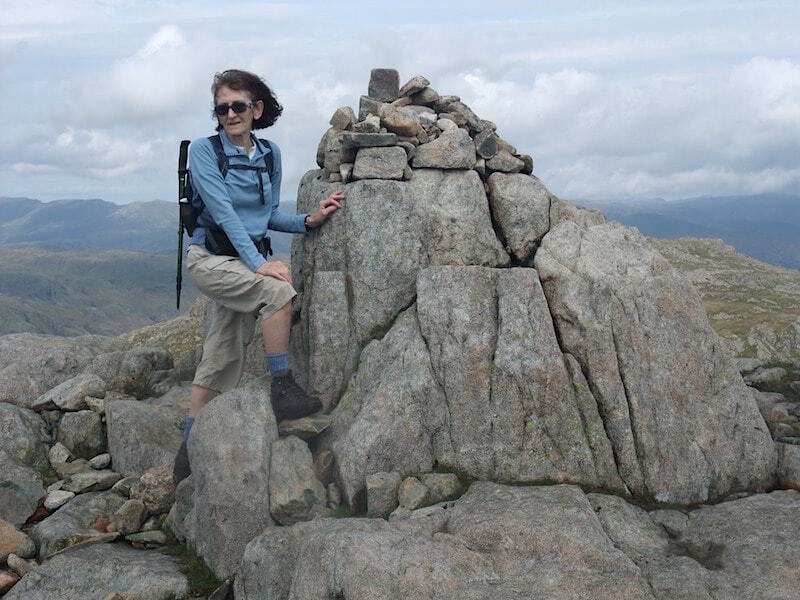 Moving on from Black Crag towards Pike O’Blisco summit. 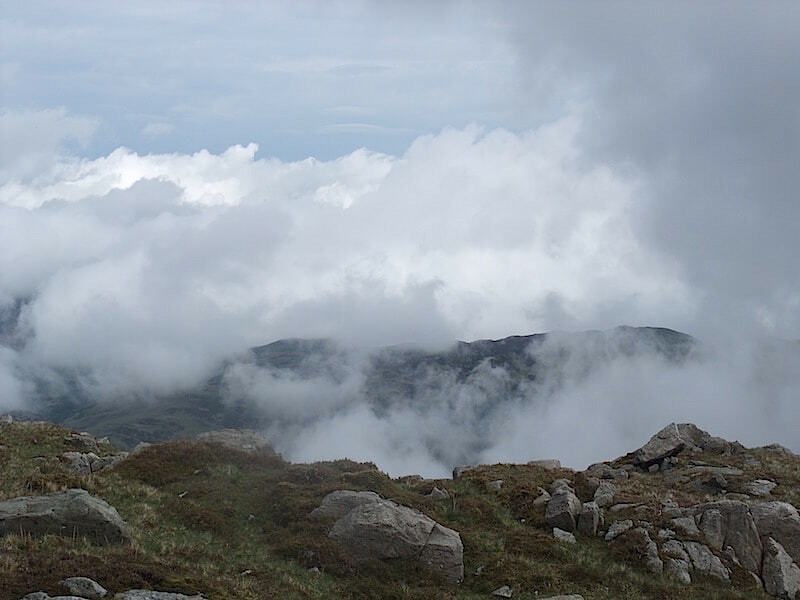 Cloud rising all around us on Pike O’ Blisco. Its quite an eerie experience watching it rise, seemingly out of some great cauldron below us. 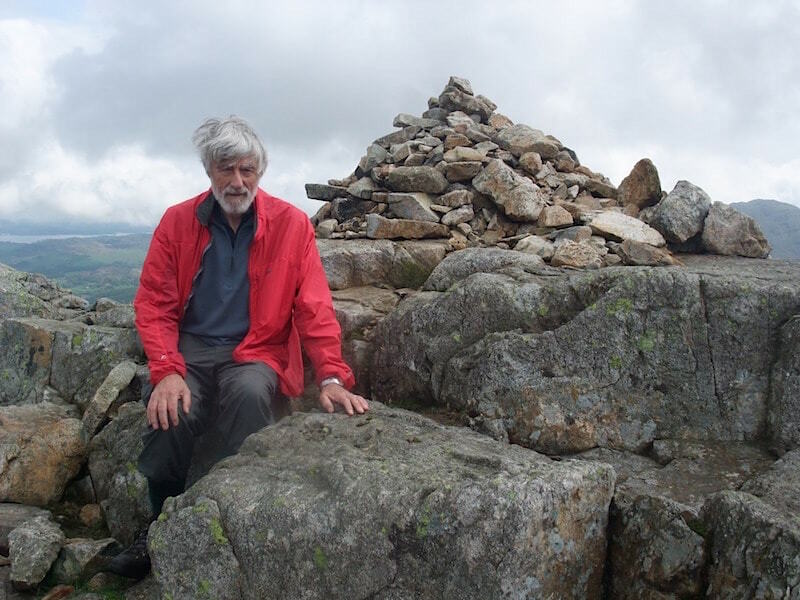 The south east cairn on Pike O’Blisco. 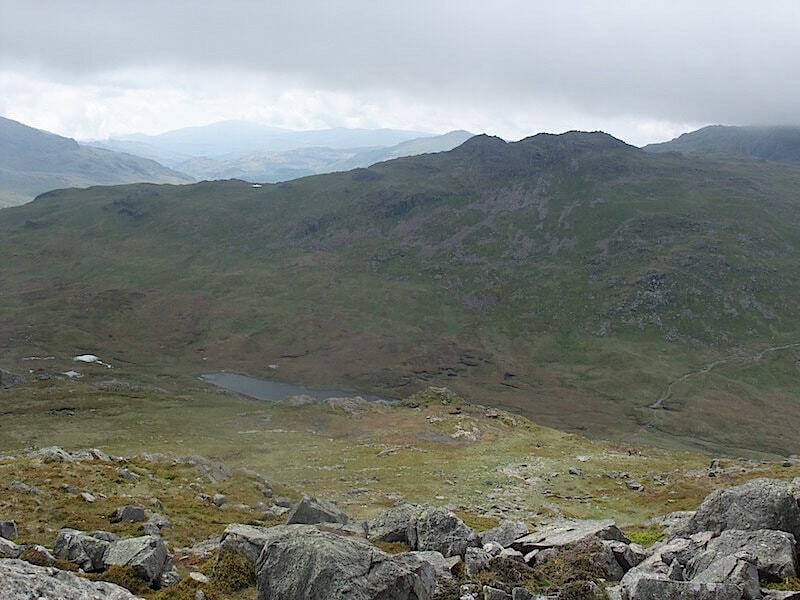 Looking across to Cold Pike from Pike O’Blisco summit with Red Tarn down below. 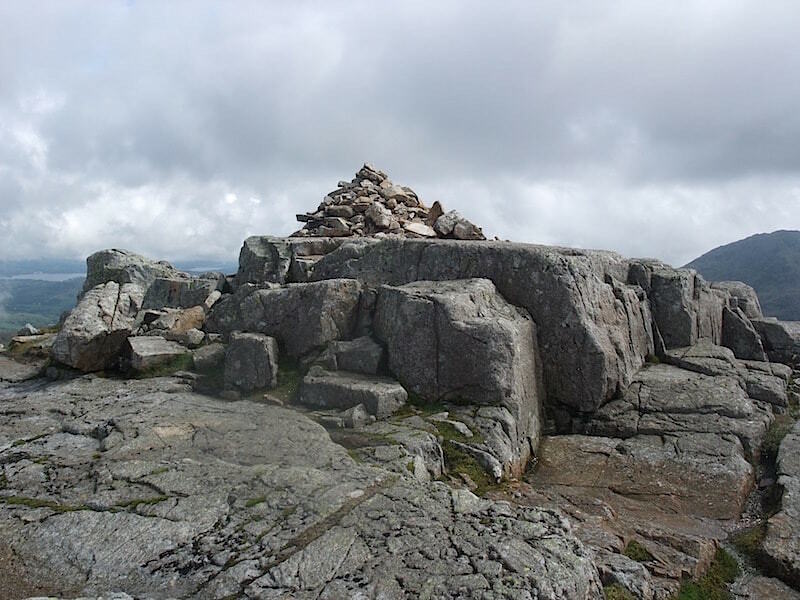 Another view of the south east cairn as the sun made a very brief appearance. 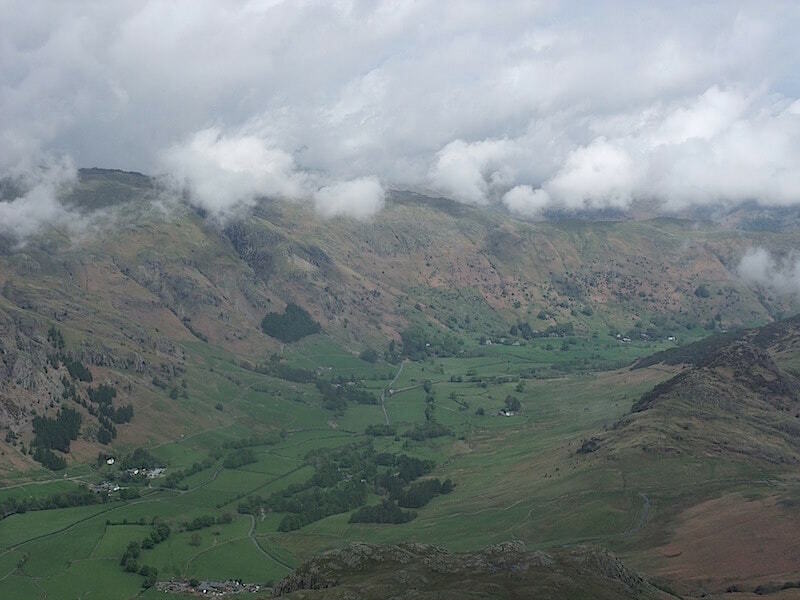 Looking down into Great Langdale from the summit. 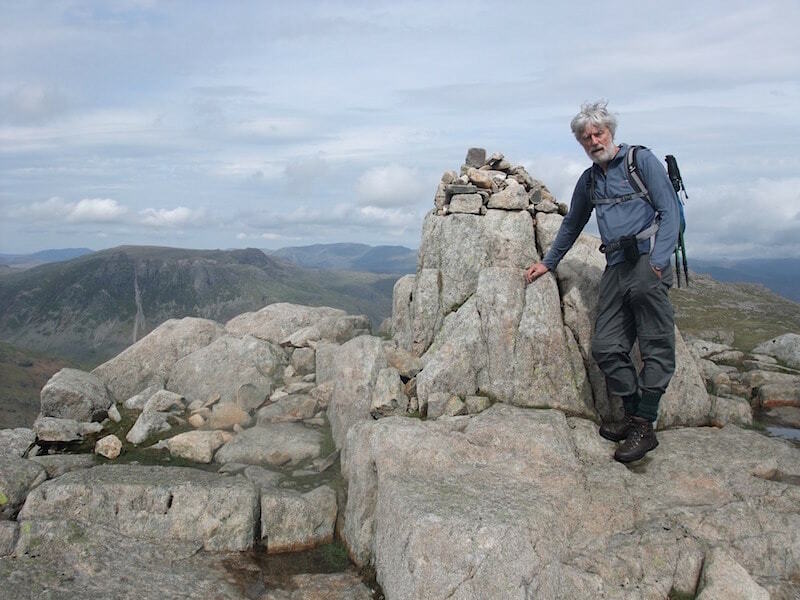 The north west cairn looking less attractive now than it did in AW’s days, when he described it as ‘a shapely edifice’ and having a domed top. 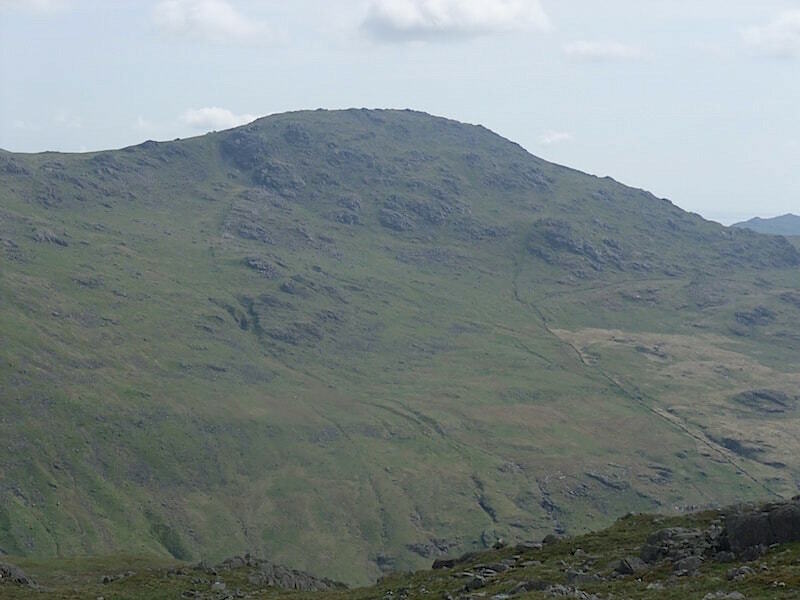 Looking across to Cold Pike from Pike O’Blisco. 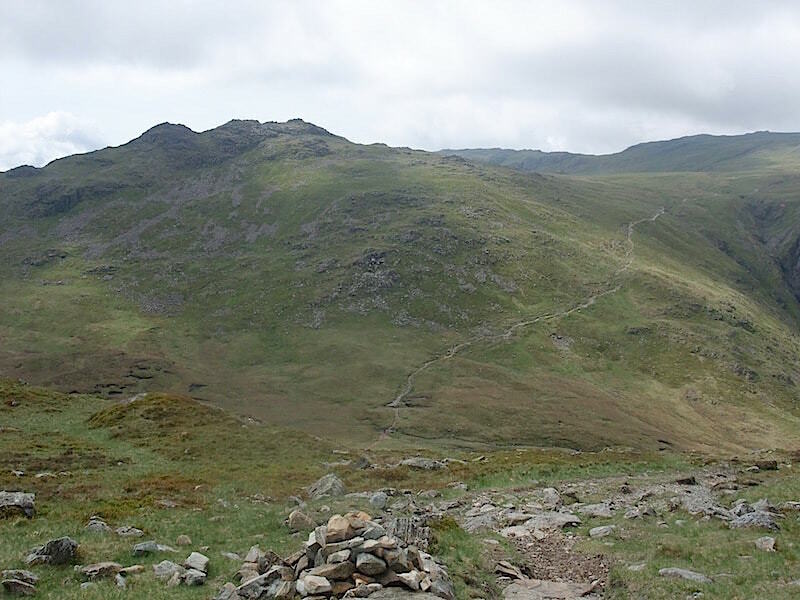 We’ll descend from Pike O’Blisco and then follow the path over there for a short distance before making a left turn over to the summit of Cold Pike. 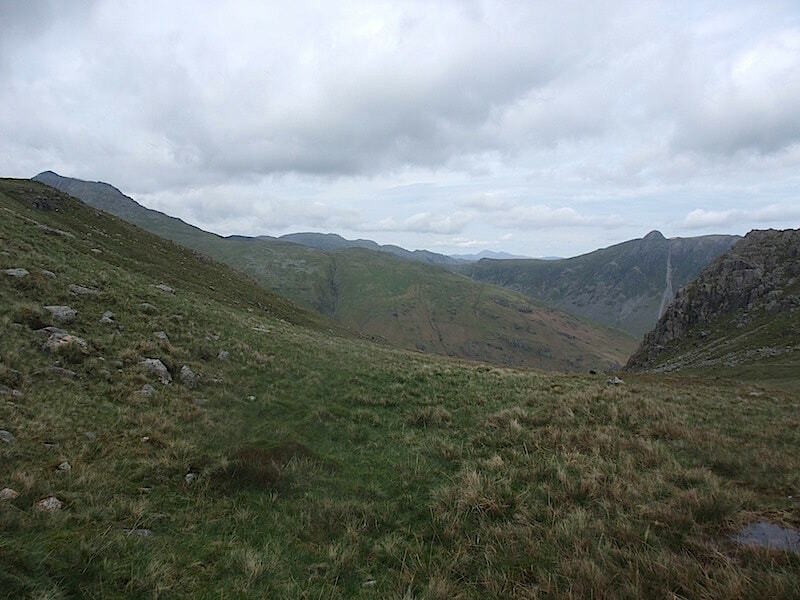 We’re now on the Cold Pike path and looking across at the imposing crags of Great Knott, with Crinkle Crags beyond. 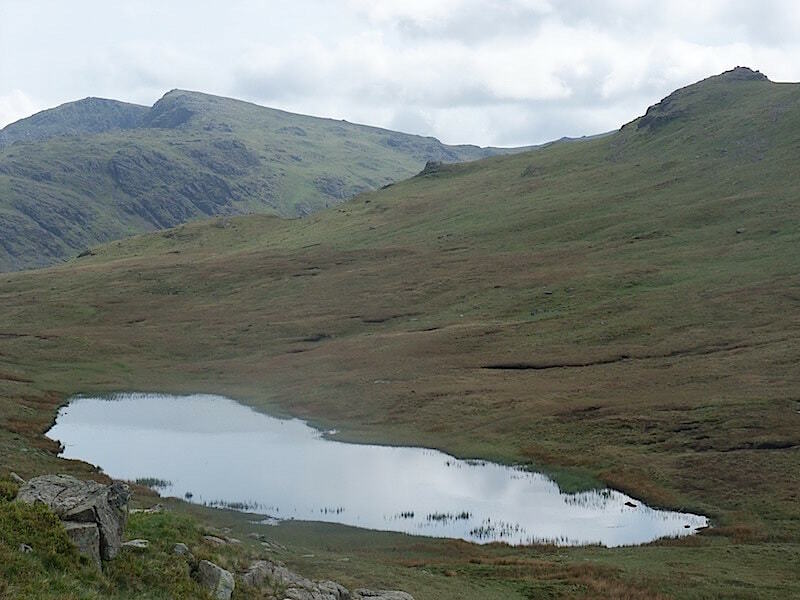 Bowfell, on the extreme left of the skyline, with the hump of Pike O’ Stickle sticking up on the right. 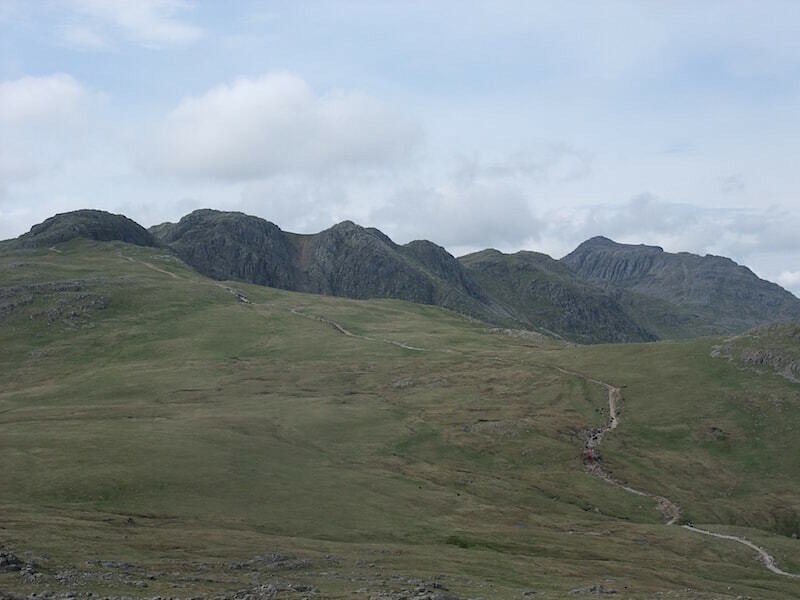 Crinkle Crags and what looks like a ‘Fix the Fells’ work party on the right. 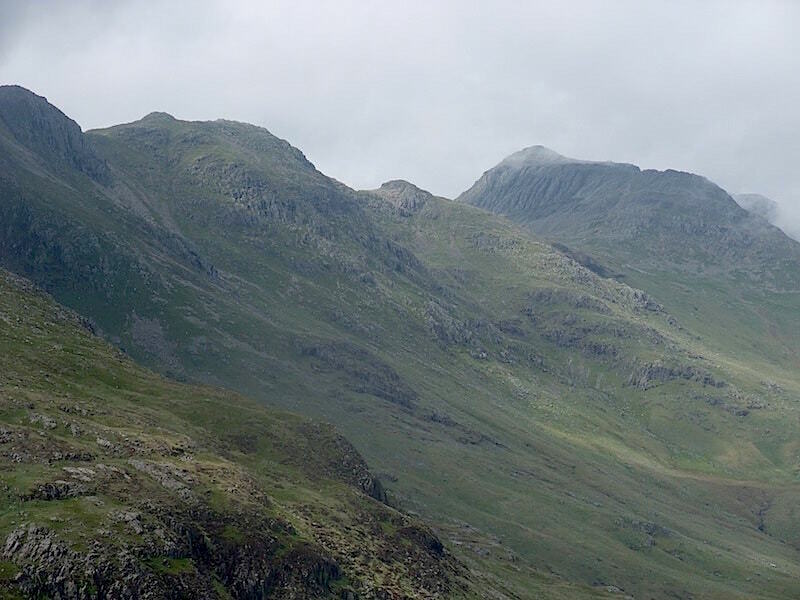 A longer view showing Crinkle Crags again with Bowfell also now in the picture. The work party still busy fixing the path. 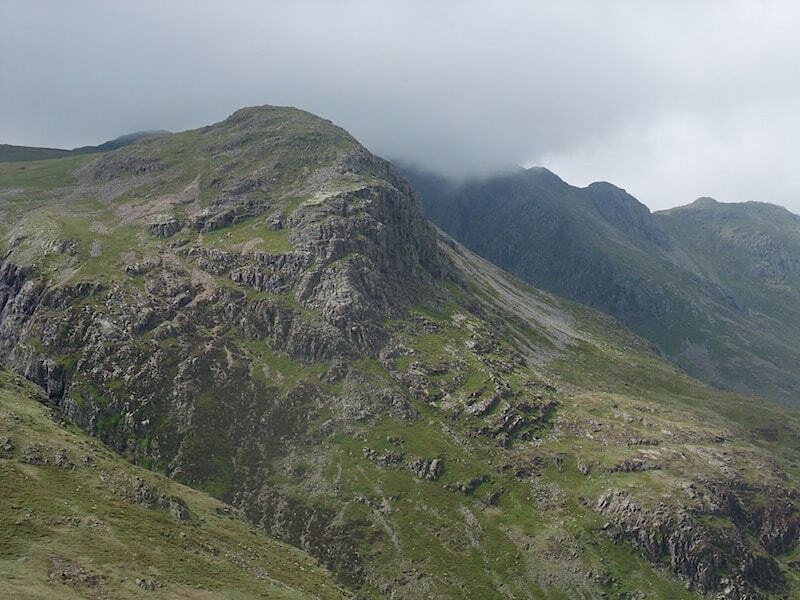 The Langdale Pikes, the hump of Pike O’Stickle isn’t quite so obvious now but its just to the left of that very long white scree slope. 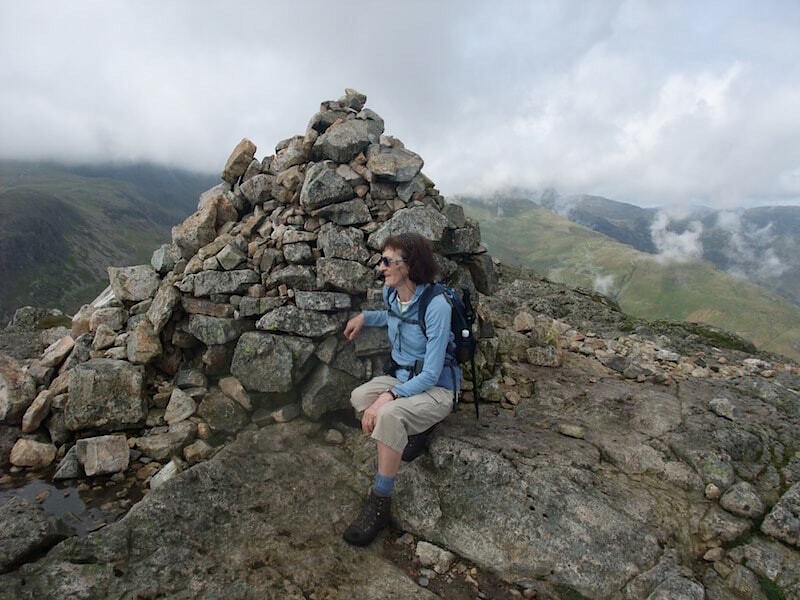 Cold Pike summit cairn …..
….. where its just a bit on the windy side. 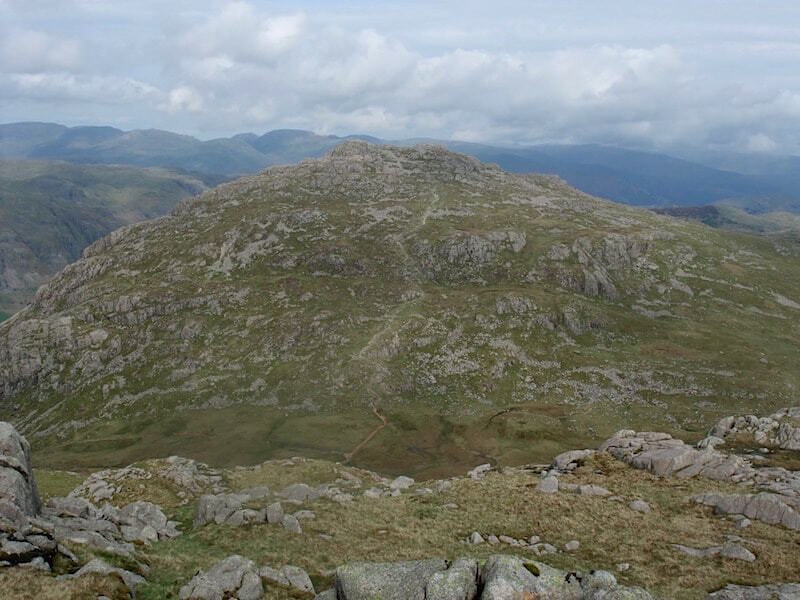 Harter Fell, in the centre, from Cold Pike. 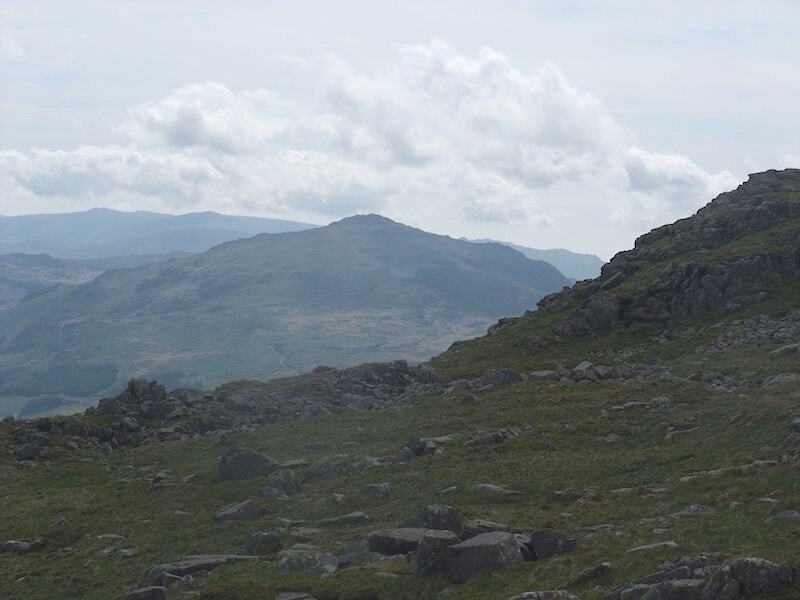 Looking across Wrynose Pass at Wetherlam on the left with Black Sails on the right. More detail showing on them now that things are a bit brighter at last. 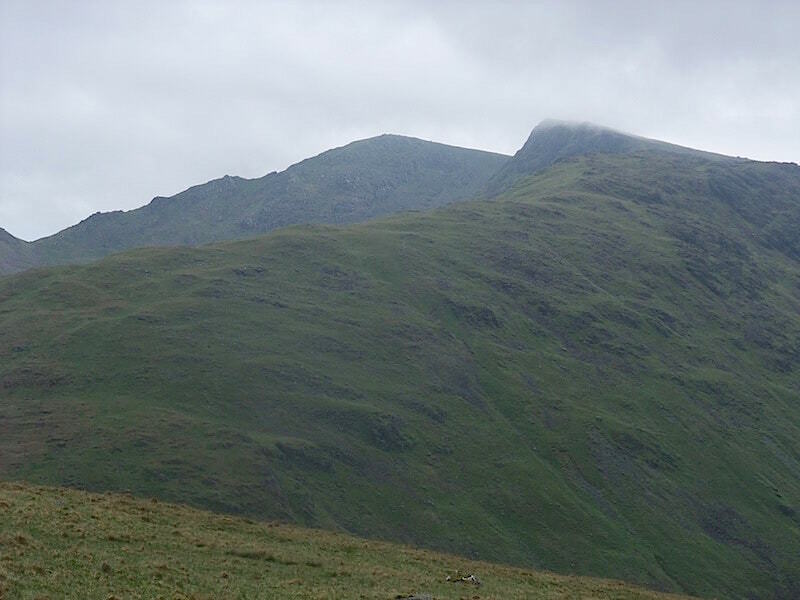 Finally, Grey Friar across Wrynose Pass. 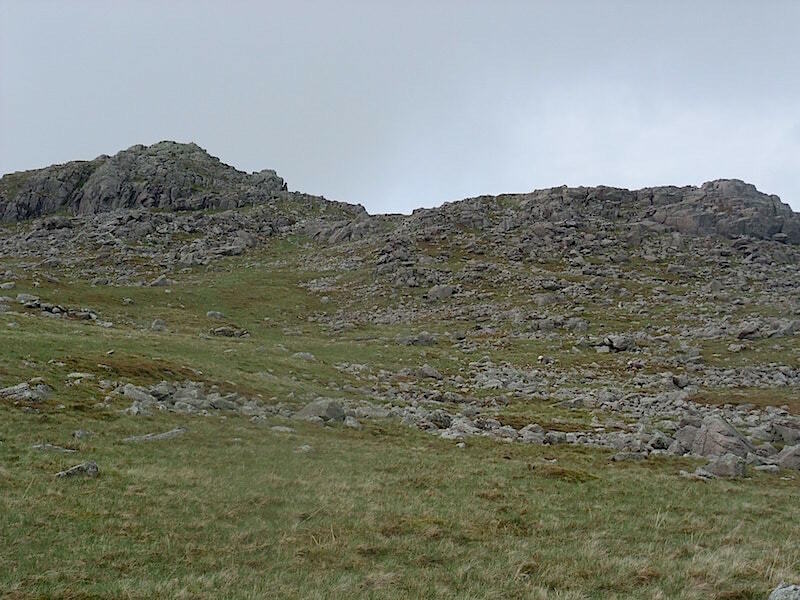 We spent quite a bit of time over here to the west of Cold Pike summit trying to locate another item mentioned by AW, the ’12 foot fanged splinter’. This one eluded us so I haven’t got a photo of it. 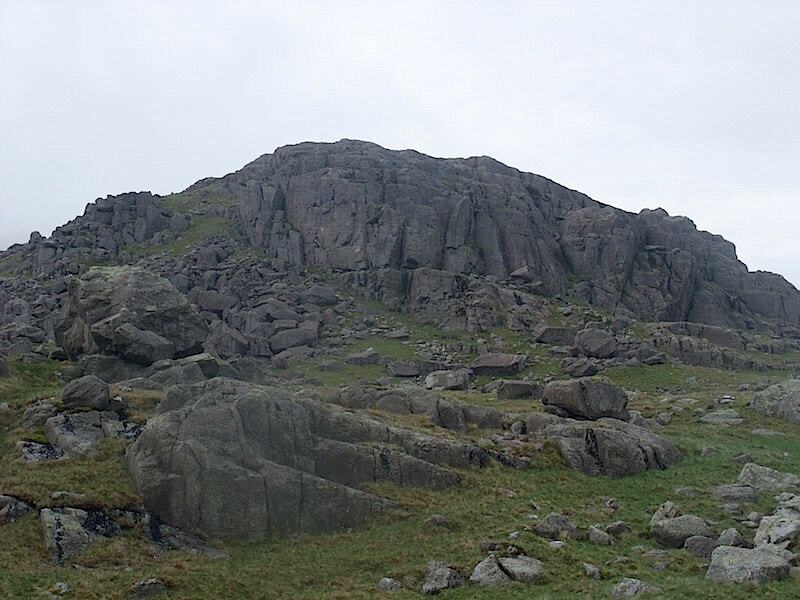 I found out later that we hadn’t gone quite far enough to the west so we’ll just have to come again and have another go at finding it, hopefully it won’t be on such an overcast day either.